Likewise function overloading, a class can have more than one constructor. 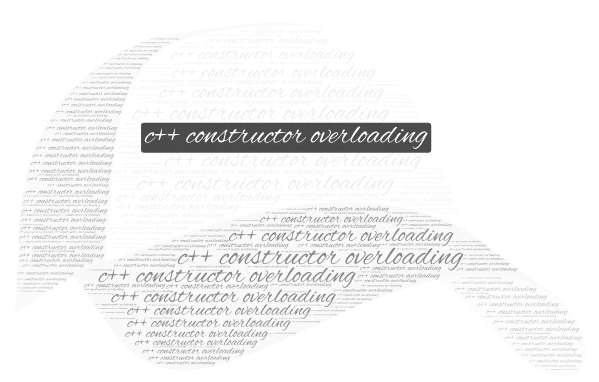 Since more than one constructor is defined in a class it is called c++ constructor overloading. Every constructor has same name as class name but they differ in terms of either number of arguments or the datatypes of the arguments or the both. As there is more than one constructor in class it is also called multiple constructor. In the above program, three constructors have been defined. The first one is invoked when no arguments is passed in ABC cc1. The second one is invoked when we pass one integer value as an argument as the constructor has one integer parameter. Similarly, when we pass two arguments in ABC cc3, the constructor with two arguments is invoked. Note: Remember that the constructor cannot be declared with keyword virtual and references or pointers cannot be used on constructor as their addresses cannot be taken.